Tonight I’m excited to show you the most incredibly amazing bag ever! I saw this on Modcloth a number of weeks ago and instantly fell in love. Unicorn pieces are so difficult to find; whenever I see unicorn printed clothes, accessories or homewares I snap them up immediately. 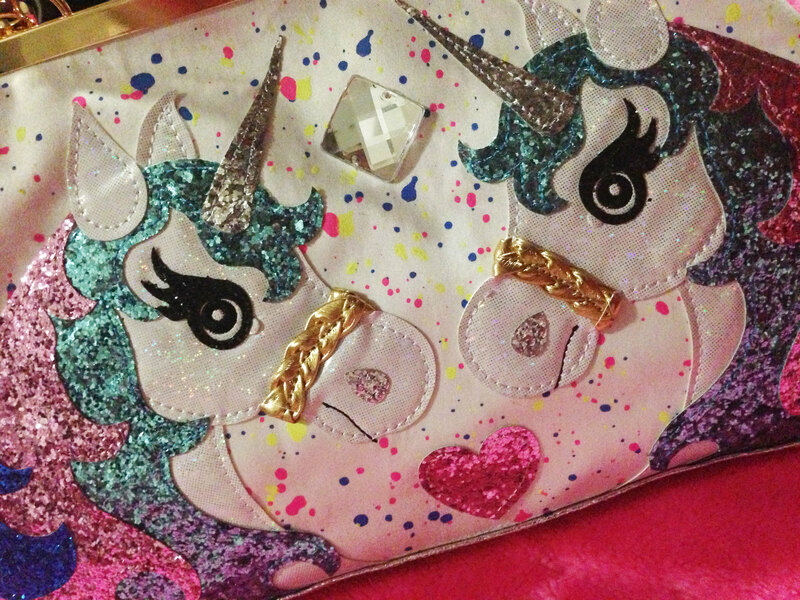 The combination of unicorns and glitter is out of this world beautiful and fabulous. The unicorns are very pretty and have the most adorable eyes. This is my dream bag and I’m so pleased I found it. This treasure is by Irregular Choice via Modcloth (where else would I possibly find this?) A little on the pricey side, I was convinced by the unique nature. The combination of it being my birthday and the fact there was only one left on the Modcloth website, influenced my decision. It’s now sold out on both the Modcloth and Irregular Choice website which makes me believe, even more, that I have such a creative unique piece. I will never see anyone with the same bag. I’m so happy I decided to buy it. It may be hard to tell from the photos but it is a very reasonably sized bag. My one issue is that the clutch style clasp on a larger style bag means it will not sit closed while I carry it with the shoulder strap. Whenever I carry the bag it unfortunately remains open. 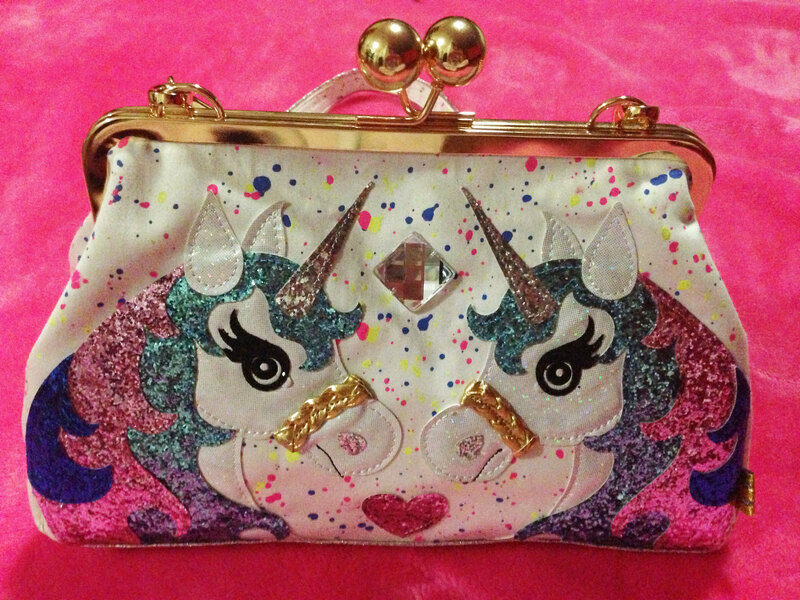 From a practical viewpoint this is extremely frustrating but who cares about practicality when I have a glitter unicorn bag, right? I’m looking forward to displaying this in outfit posts. This entry was posted in Item of the Week, New In. Bookmark the permalink. That's the cutest purse ever, Imogen. All the lovely colors and glitter make it so cute. Nel used to love unicorns when she was young. What a wonderful purse you found! Wow! You are the owner of the most beautiful bag that exists on earth! Love it! OMG that is perfection! I think it is everything I would have wanted as a child, but in adult form!